On Thanksgiving, I ceremoniously opened a jar and poured them in a dish. I must admit they looked a little odd, but everyone tasted them and we all decided that this recipe was a keeper. They taste somewhat like a tiny pickle with a little heat and look like an enormous caper. 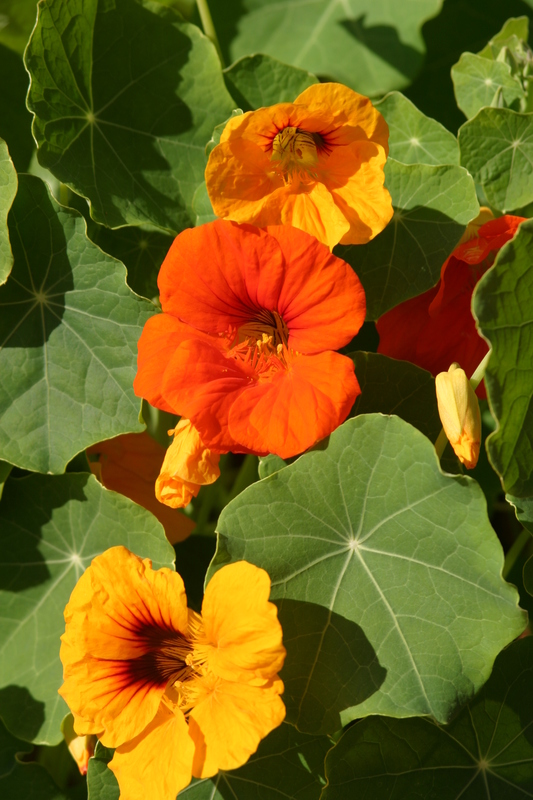 If you happen to find yourself with oodles of nasturtium seed pods and a bottle of vinegar, give them a try. Cover the pods with a 10% brine-1/2 cup salt to 1 quart water. You might have to weigh them down with a plate. Allow them to set for 24 hours. Remove from brine and soak in cold water for an hour. Drain. Bring vinegar to a boil in a non-aluminum pot (I use cider vinegar, but you could use white). Pack buds into hot, sterilized pint jars and (At this stage, I also nestle some dill and garlic cloves in among the pods if I have them on hand). Cover with boiling vinegar, leaving one inch head space. Seal with lids that have been in hot water for five minutes. Process for 10 minutes in boiling water bath. It is best to let your capers stand for 6 weeks before use as they will be more flavorful. Last night we had our first frost. It wasn’t early and it wasn’t a killing frost, but it was a signal that summer is over. Heavy coats with a possible flurry of gloves and mittens are in the forecast. Soon the first V of geese will fly over and snowflakes will fall softly on our deck. Can you hear me sigh? 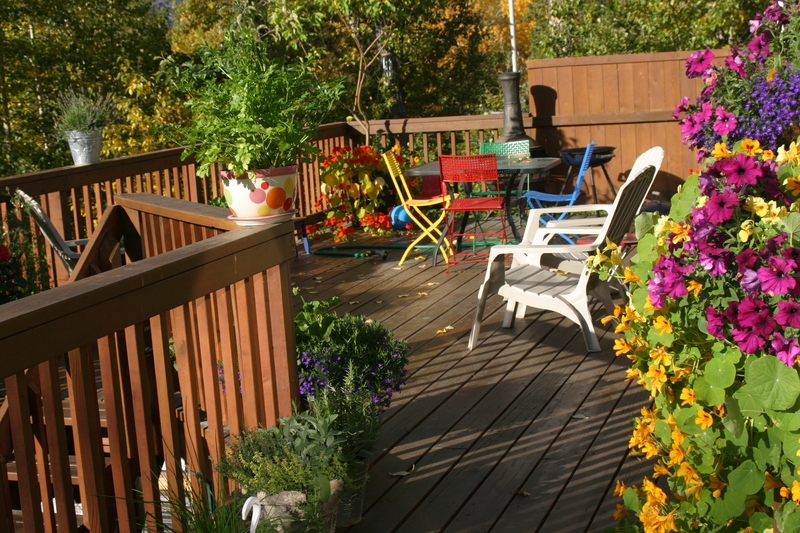 I enjoy the geese and I love winter, but I resist saying goodbye to my deck full of flowers and herbs and I will miss meals with good friends in those chairs. This morning I stepped outside and took a photo so you could see our deck too. The vibrant colors and the fragrance of flowers and herbs simultaneously soothe and stimulate my soul. The only improvement I can imagine would be to have you in one of those chairs, sharing a cup of tea with me. What soothes your soul today? Zucchini: from baby to adult in two days. While growing up in the Northwest, my brother grew a vegetable garden in our back yard. I had a flower garden in the front. He planted one zucchini seed and within weeks we had enough squash to feed not only our family, but our neighborhood and the east side of Portland. Unfortunately, other people in our town grew it too. We would emerge from church to see bags of zucchini arms hanging from our car door as gifts from previous friends. My mother sliced and boiled the stuff until it turned into a limp, green, watery goo. The sickly green stuff fell from the spoon to the plate with an unappetizing plop. Sometimes there were mature seeds huddled among the mass, adding a strange and chewy texture. We were told to add margarine, salt and pepper to make it taste good. We were also told not to gag at the table. 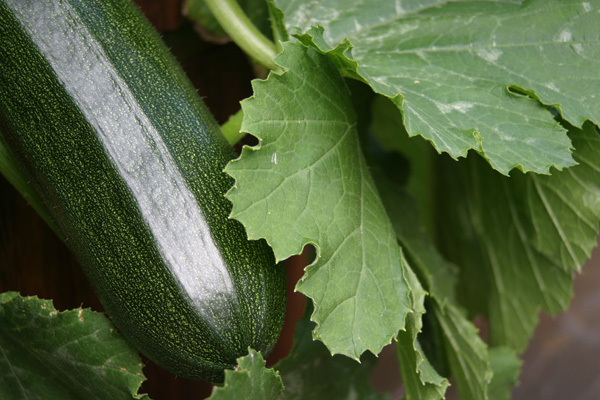 Because of my scarred past, I hesitated to grow zucchini in my garden as an adult, but one day my friend, Bree, ripped a six-inch squash from under a healthy leaf. She said, “Here is your lunch! Single serving size. Saute it in a little butter with garlic.” I took it home and cooked it as she said, then took a bite. Love for zucchini and envy for her plant immediately consumed me. Until that day, I didn’t think zucchini was ready for harvest until it resembled the arm of a sumo wrestler. Since that summer, I’ve grown and enjoyed the little green squash. They can explode from the tender little baby size to adult arms in about two days, so I watch the plants closely. I’ve found some marvelous recipes for zucchini, but this one is my favorite. It comes from Molly Wizenburg’s A Homemade Life. I highly recommend this book for the read as well as the recipes. minutes. Add noodles with plenty of noodle water and pesto. Toss until mixed. Sprinkle with cheese and serve.